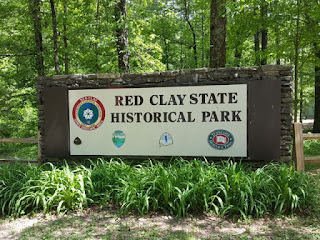 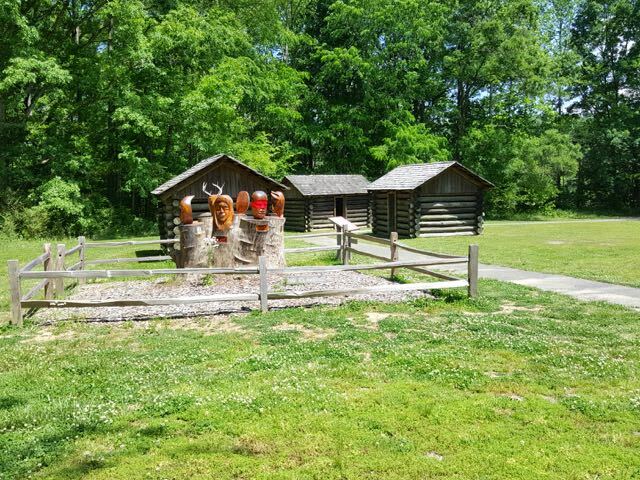 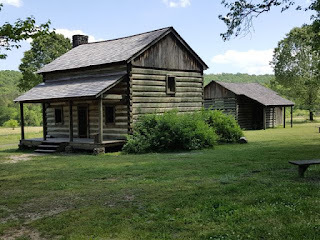 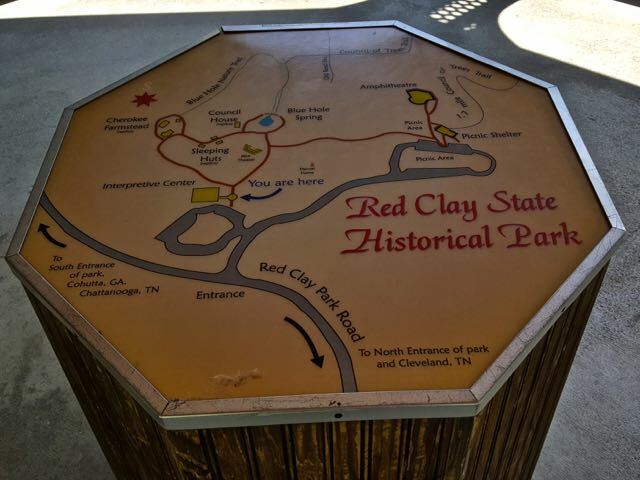 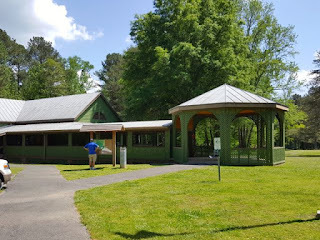 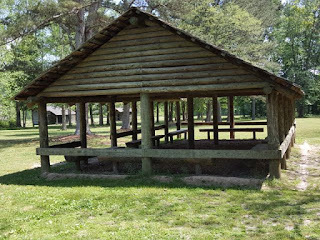 After departing Chickamauga we decided to drive up to Red Clay State Historic Park in Tennessee east of Chattanooga. 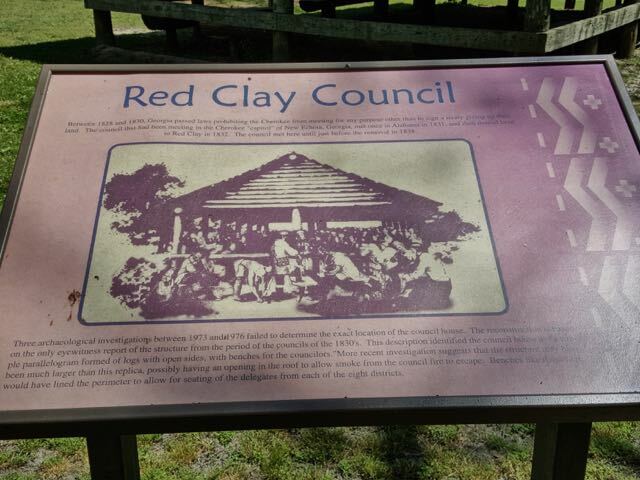 Red Clay served as the seat of the Cherokee from 1832 until their forced removal in 1838. 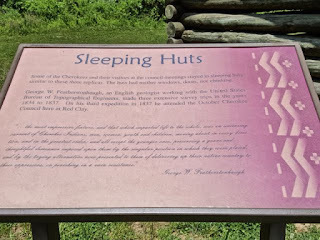 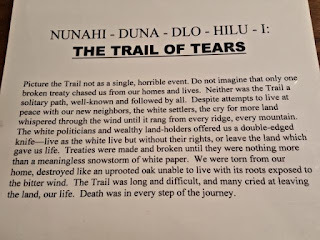 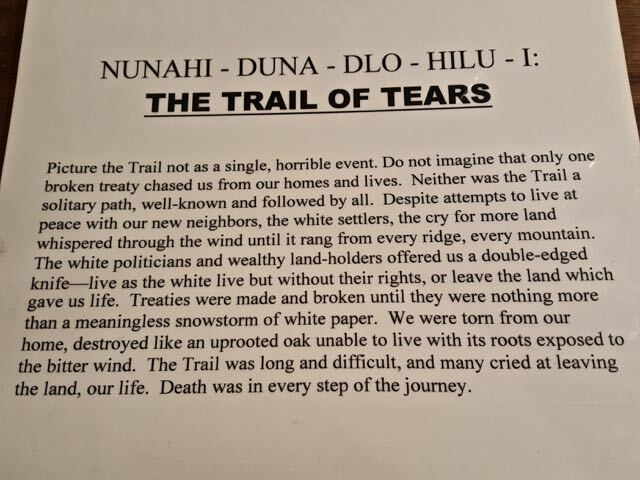 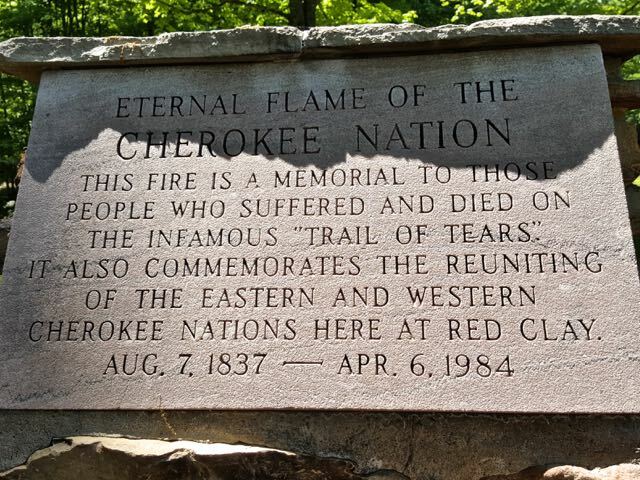 It was here that the Trail of Tears really began for them when they learned they had lost their valleys, streams and mountains forever by another broken treaty that stripped them of their political sovereignty. 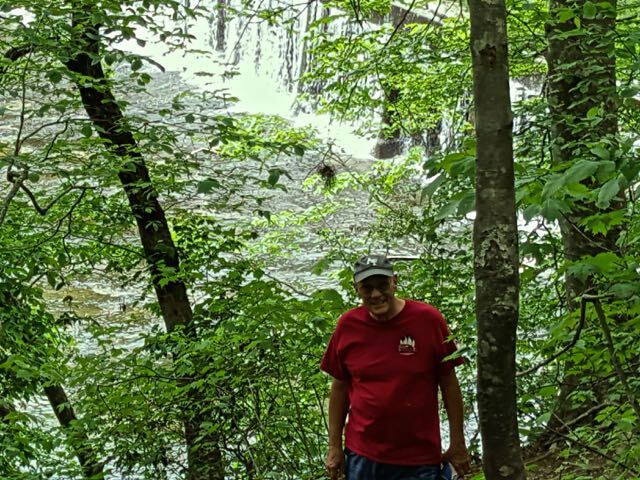 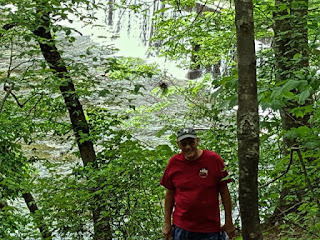 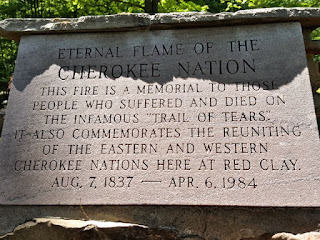 During the War of 1812, Cherokee warriors fought alongside Andrew Jackson at the Battle of Horseshoe Bend against the Creek Indians who were aligned with the British. 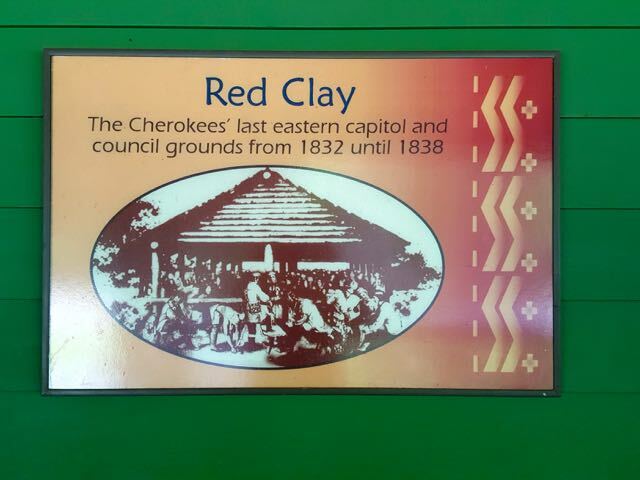 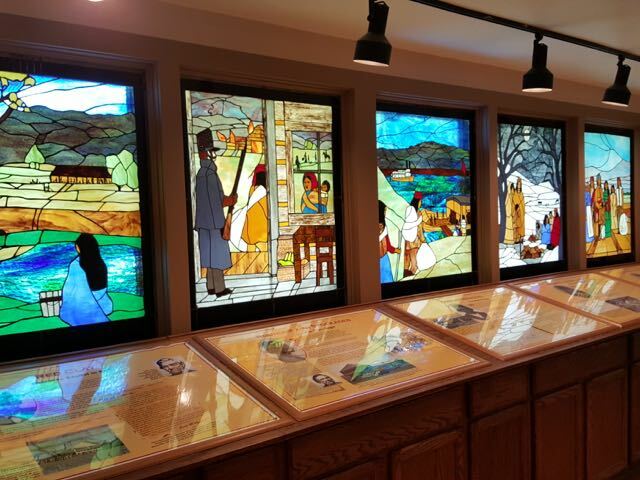 The Visitor Center contains exhibits on the 18th century Cherokee, Trail of Tears and art. 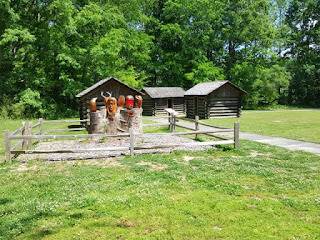 Reconstructed buildings include the Council House, Sleeping Huts and Farm Houses. 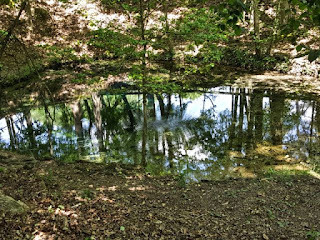 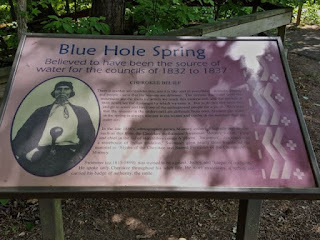 The Blue Hole was the water supply for the settlement. 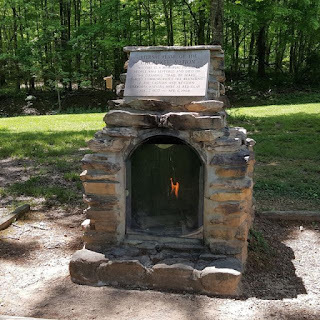 The Eternal Flame represents the suffering on the Trail of Tears and the reuniting of Eastern and Western Cherokee Nations. 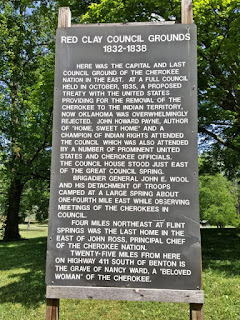 Today was a day to explore Historic Civil War Markers from Chattanooga west to Manchester for John's website. 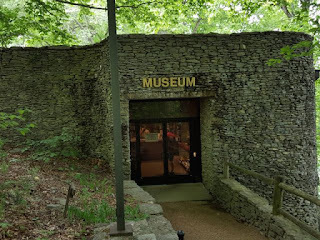 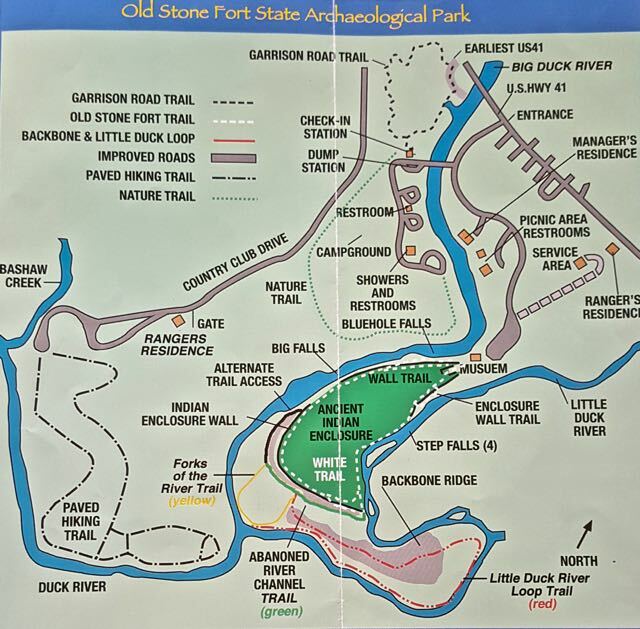 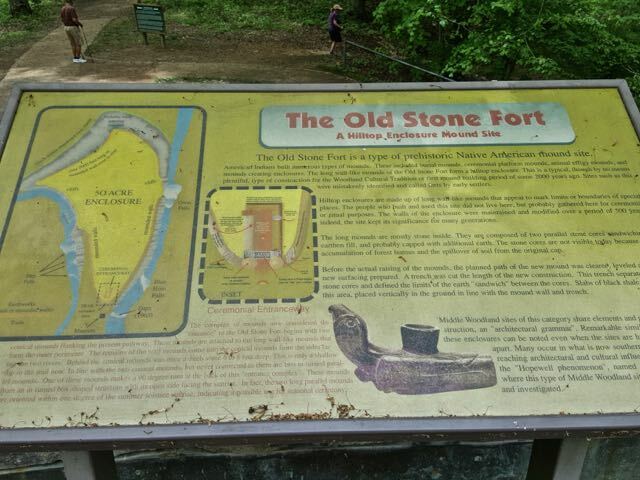 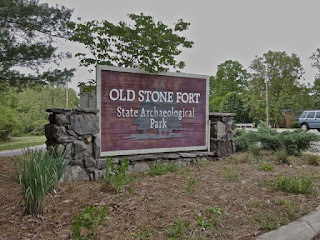 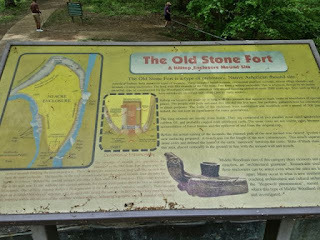 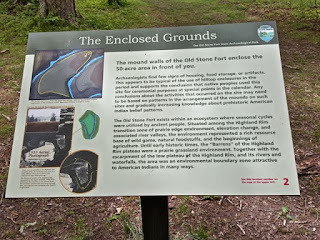 Our last stop was Old Stone Fort Archaeological Park in Manchester TN. Old Stone Fort was a Native American ceremonial mound over 2,000 years old and used at least through the 5th century. 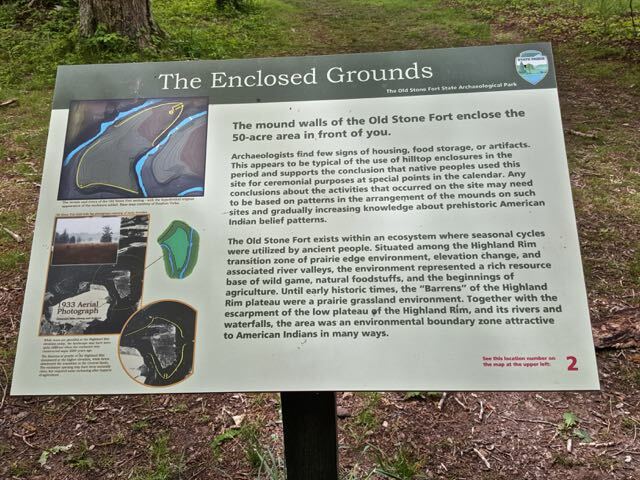 There are hiking trails around the mound. 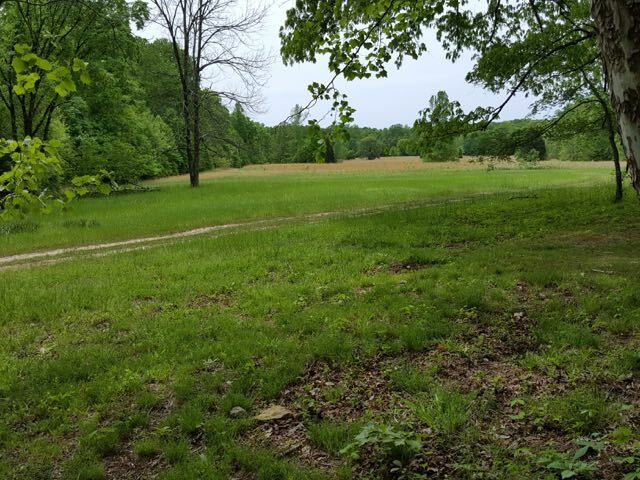 This 50 acre Mound site may have represented the culture's concept of their place in the cosmos and a separation of the sacred and mundane. 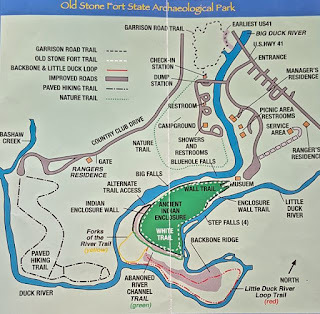 It is located on a peninsula at the confluence of the Duck and Little Duck Rivers.